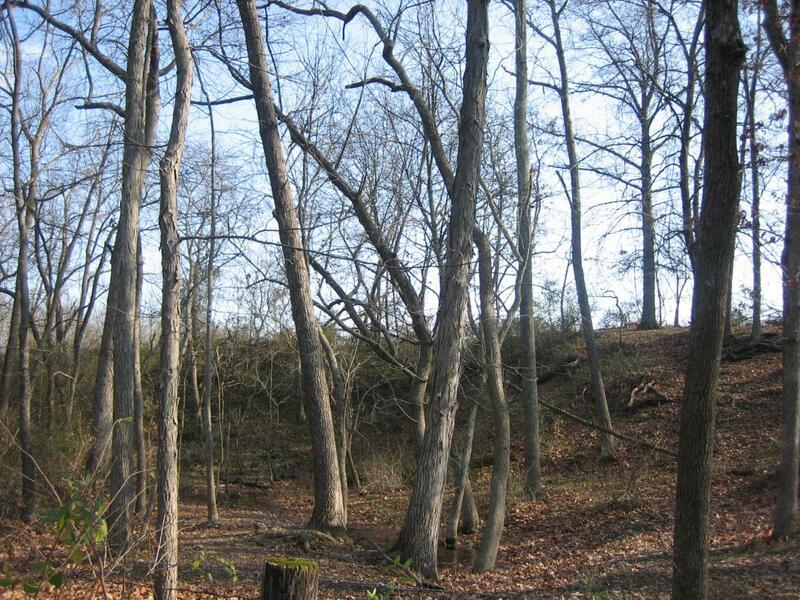 The Quarry located at the bottom of the western arm of McPherson’s Ridge was an active quarry at the time of the Battle of Gettysburg. 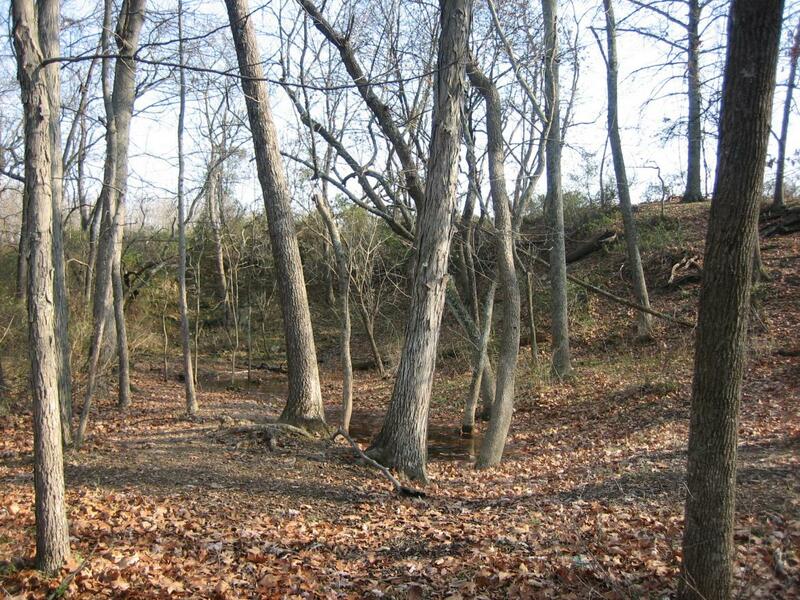 It is smaller in overall area than it was at the time of the battle, although the sides of the Quarry in places are approximately 25′ tall. 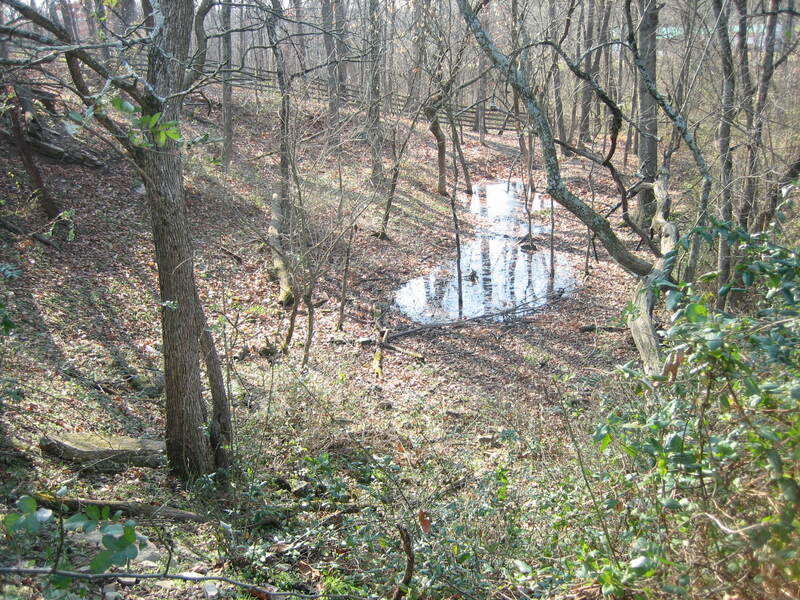 When the 7th Tennessee advanced east towards McPherson’s Ridge the morning of July 1, 1863, the Quarry became an obstacle that slowed them down. 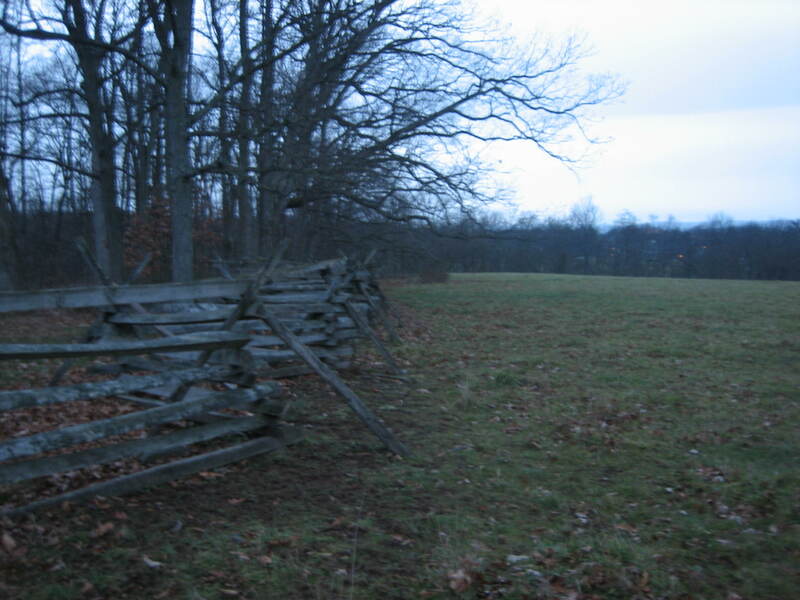 When they advanced past the Quarry, volleys from Cutler’s Brigade (14th Brooklyn and 95th New York) on the west arm of McPherson’s Ridge halted their advance. This view was taken facing northeast at approximately 9:00 AM on Friday, November 28, 2008. 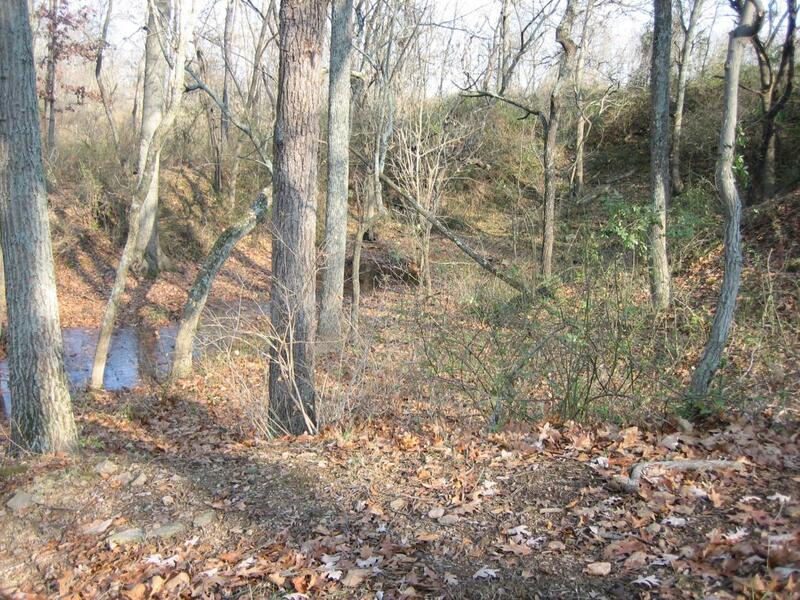 A stone quarry, active at the time of the Battle of Gettysburg, is located near Willoughby Run at the bottom of the slope to the west arm of McPherson’s Ridge. 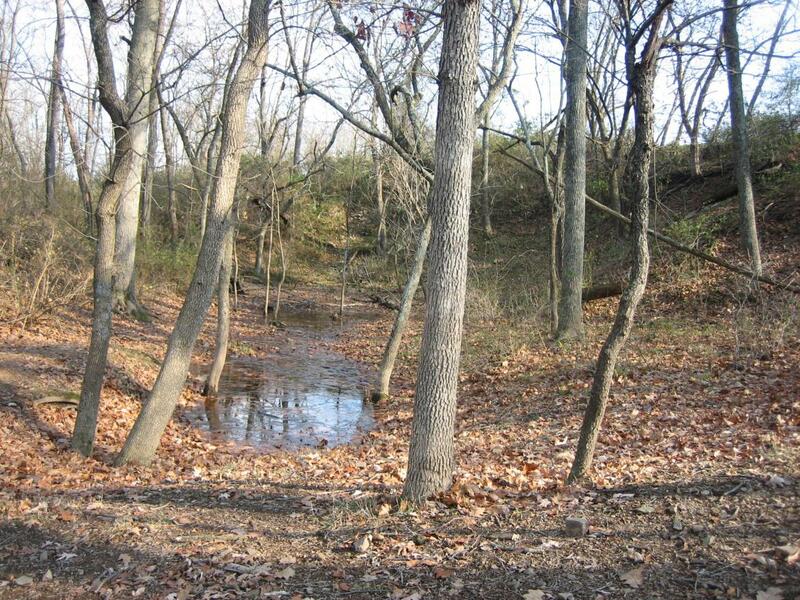 The quarry played a part in the attack and repulse of Archer’s Brigade, and Brockenbrough Brigade’s advance on July 1, 1863. 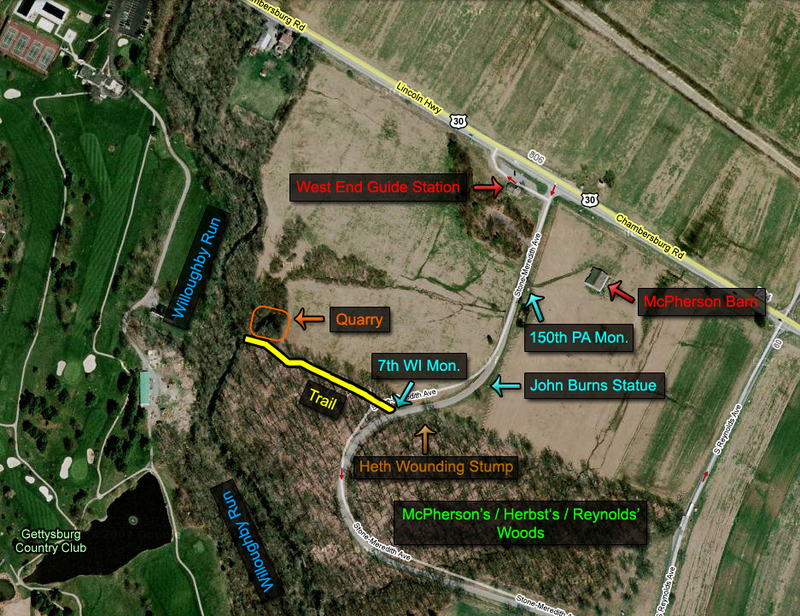 The map shows the area where the Quarry is located. We have outlined the Quarry in orange. 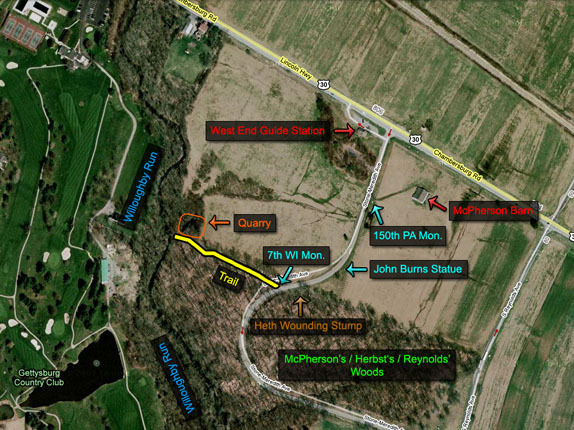 There is a trail, that we have outlined in yellow, leading to the Quarry from the 7th Wisconsin Monument. This Map was created at approximately 5:30 on December 4, 2008. To get to the monument to the 7th Wisconsin Infantry Regiment at the north edge of Herbst Woods/McPherson’s Woods/Reynolds’ Woods. In the left background is a large tree. 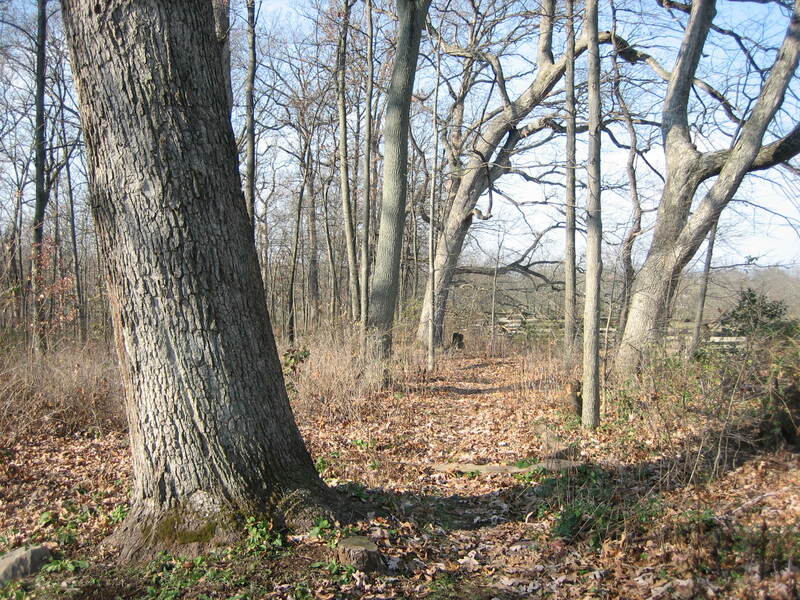 A trail to Willoughby Run begins by that tree. This view was taken facing west at approximately 9:00 AM on Friday, November 28, 2008. 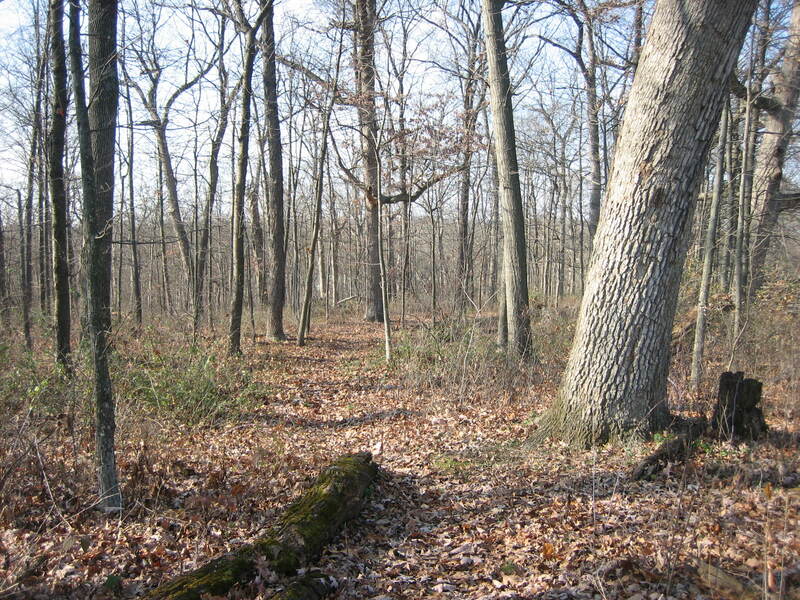 The trail begins on the right (north) side of the tree. This view was taken facing west at approximately 9:00 AM on Friday, November 28, 2008. 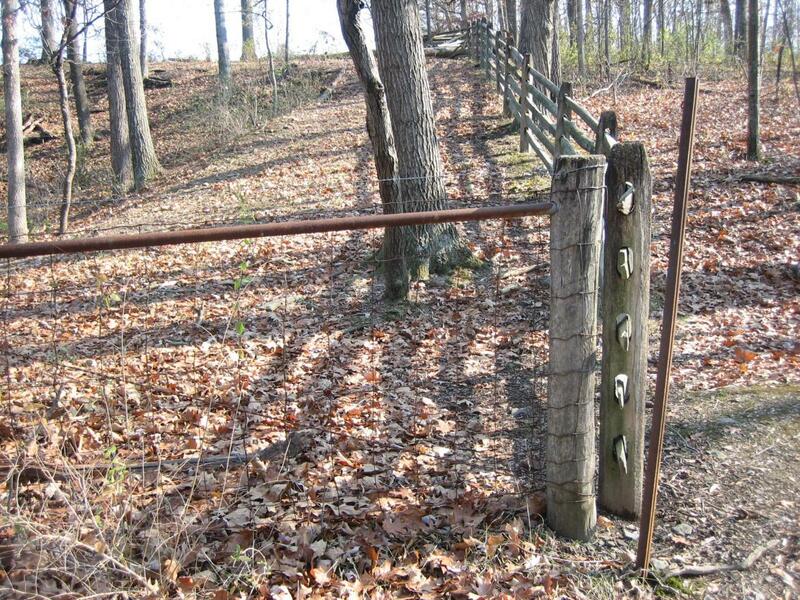 Taking the trail is easier than jumping a wooden fence at the north edge of the woods and walking downhill through this field with the worm fence on your left (south). The 7th Tennessee would have been advancing through through the field toward the camera position the morning of July 1, 1863. This view was taken facing west at approximately 4:45 PM on Thursday, December 4, 2008. 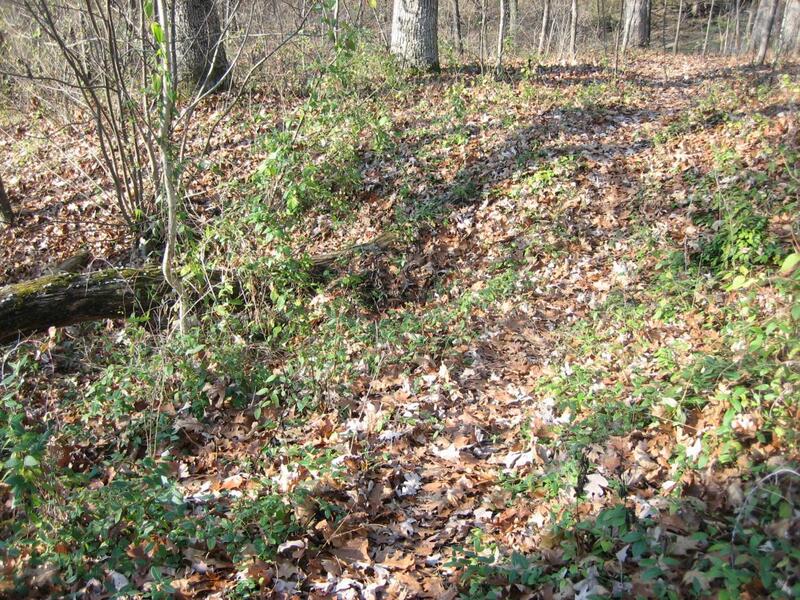 As we walk down the trail, the 14th Tennessee Infantry Regiment would have been charging up the slope towards our position. This view was taken facing west at approximately 9:00 AM on Friday, November 28, 2008. 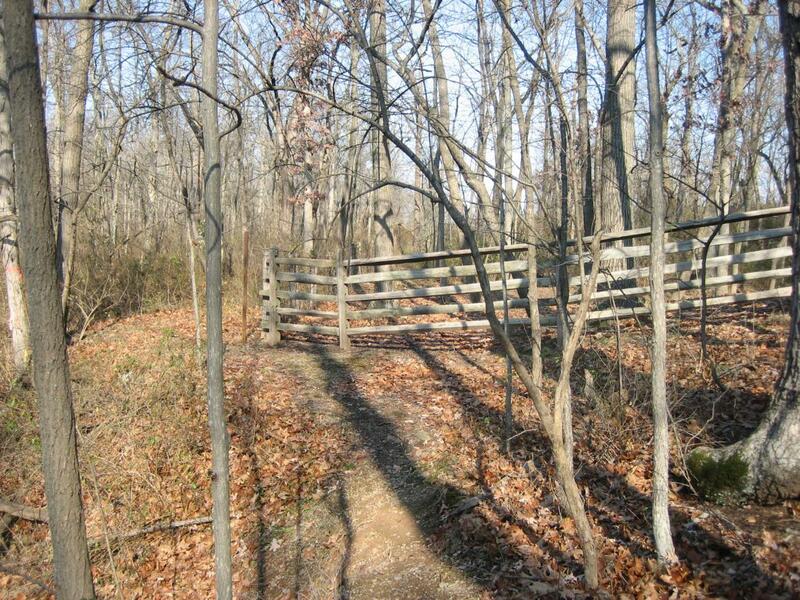 It is approximately 200 yards on this trail from the 7th Wisconsin to Willoughby Run. This view was taken facing west at approximately 9:00 AM on Friday, November 28, 2008. 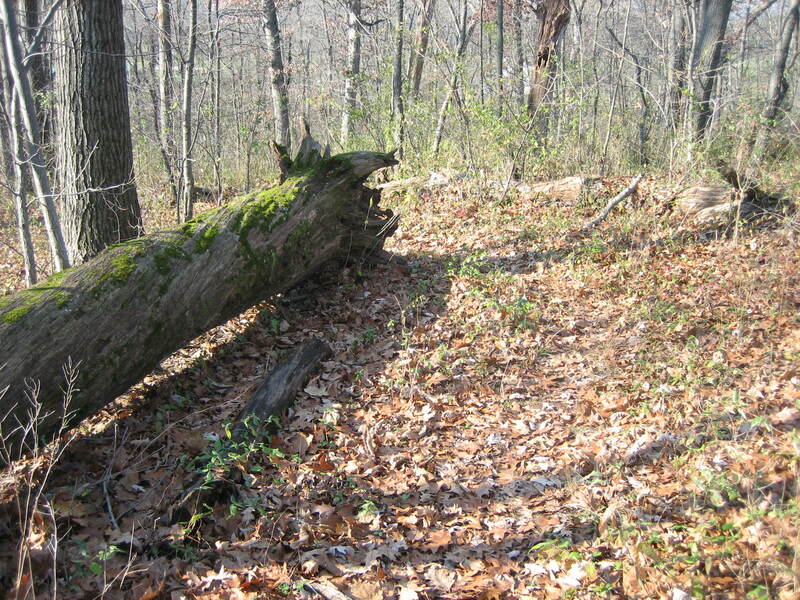 Until you get to this log and need to take a left, it was a pretty straight walk to the run. This view was taken facing west at approximately 9:00 AM on Friday, November 28, 2008. There is a ravine that the trail leads across. This view was taken facing west at approximately 9:00 AM on Friday, November 28, 2008. 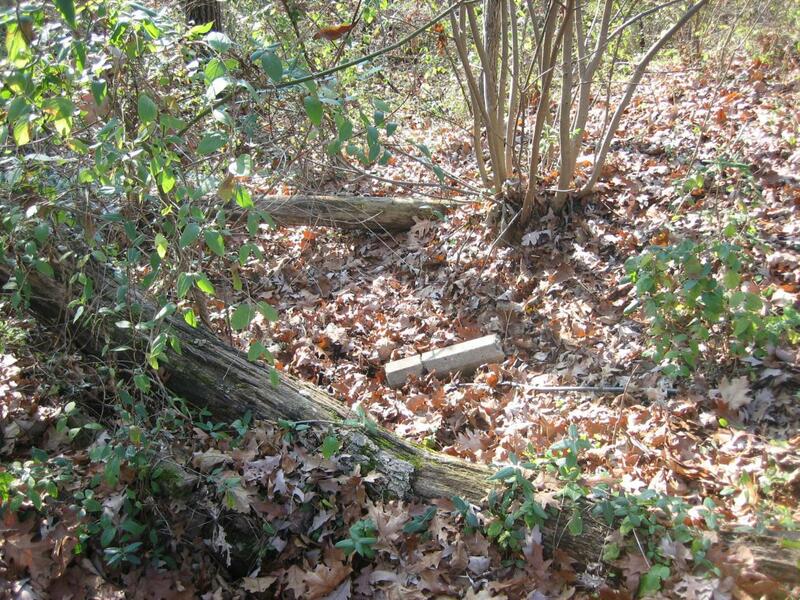 A boundary marker is laying in the ravine. This view was taken facing south at approximately 9:00 AM on Friday, November 28, 2008. 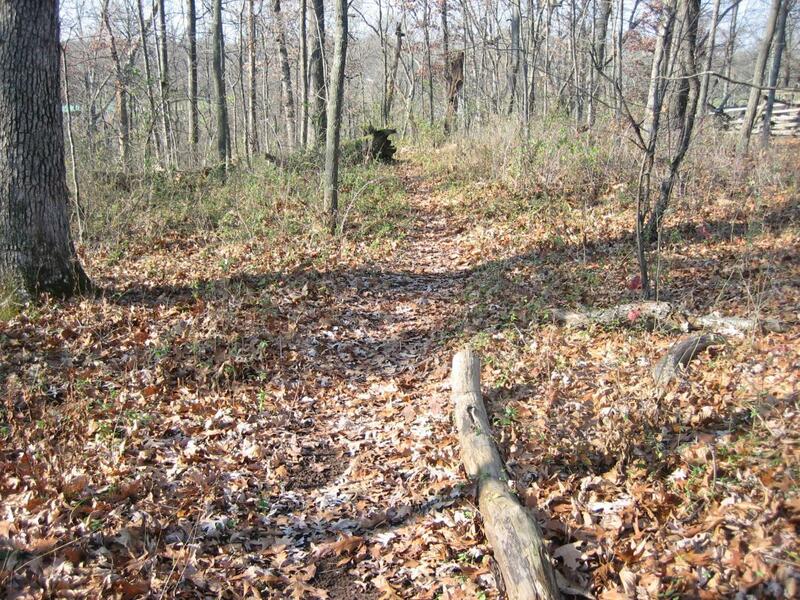 Then the trail goes more steeply downhill to Willoughby Run. The buildings in the background are at the Gettysburg Golf Club. When the 7th and 2nd Wisconsin regiments of the Iron Brigade were pushing back Archer’s Brigade towards Willoughby Run on the morning of July 1, 1863, the 19th Indiana was attacking from left to right, or south to north to hit Archer’s men in their right flank. This view was taken facing northwest at approximately 9:00 AM on Friday, November 28, 2008. 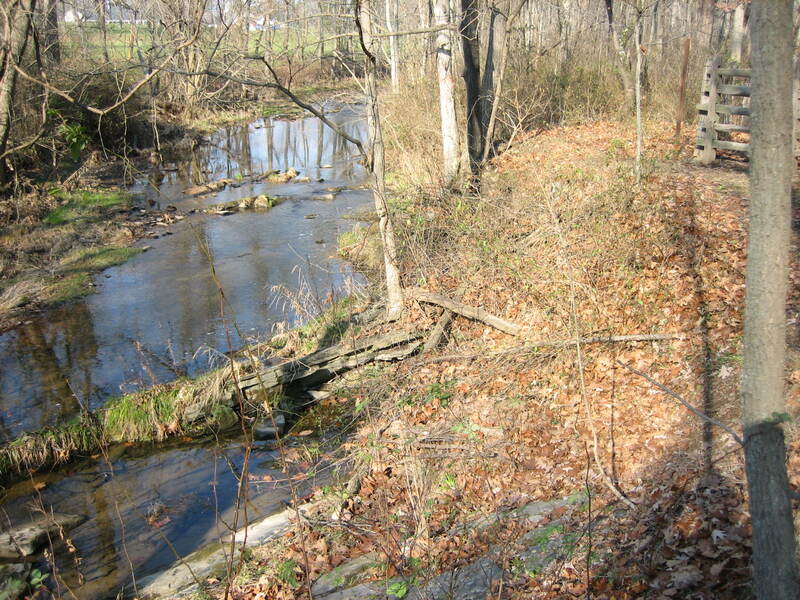 We decided to make a small panorama or this section of Willoughby Run. For a medium-sized version of the panorama click here. For the larger JPEG version, click here. If you’d like to see the uncompressed TIFF file, you can download it here (24.7 MB).This view was taken facing west at approximately 9:00 AM on Friday, November 28, 2008. And we like this area so much we made a short video clip of Willoughby’s winter water. This view was taken facing west at approximately 9:00 AM on Friday, November 28, 2008. 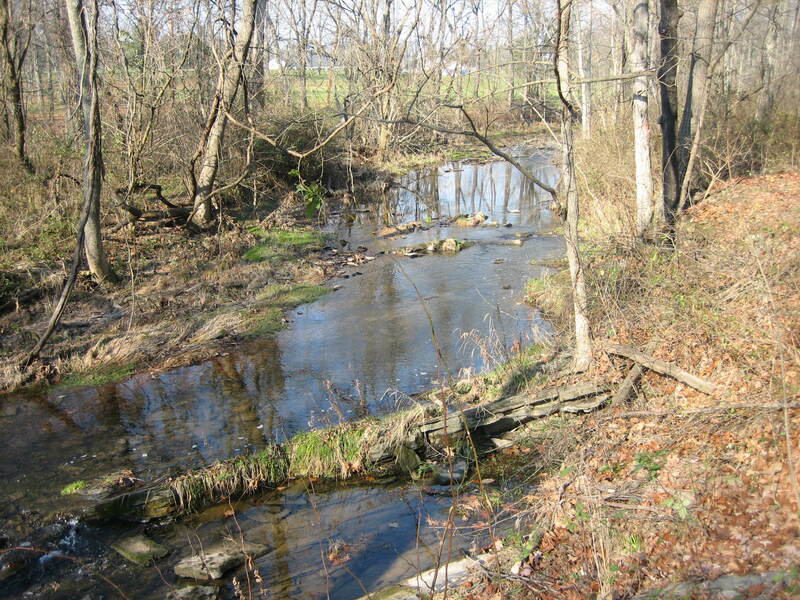 When the l9th Indiana and 24th Michigan attacked from left to right, some Hoosiers and Wolverines had crossed to the other (west) side of Willoughby Run. Some Confederates attempted to make a stand along Willoughby Run. when, as one Alabama soldier described the scene, “it seemed to me there were 20,000 Yanks down in among us hallowing surrender.” This view was taken facing northwest at approximately 9:00 AM on Friday, November 28, 2008. As the Confederates were making a stand here, one Alabama soldier described the scene, “it seemed to me there were 20,000 Yanks down in among us hallowing surrender.” This view was taken facing northwest at approximately 9:00 AM on Friday, November 28, 2008. The Quarry is on the other (north) side of the post and rail fence. 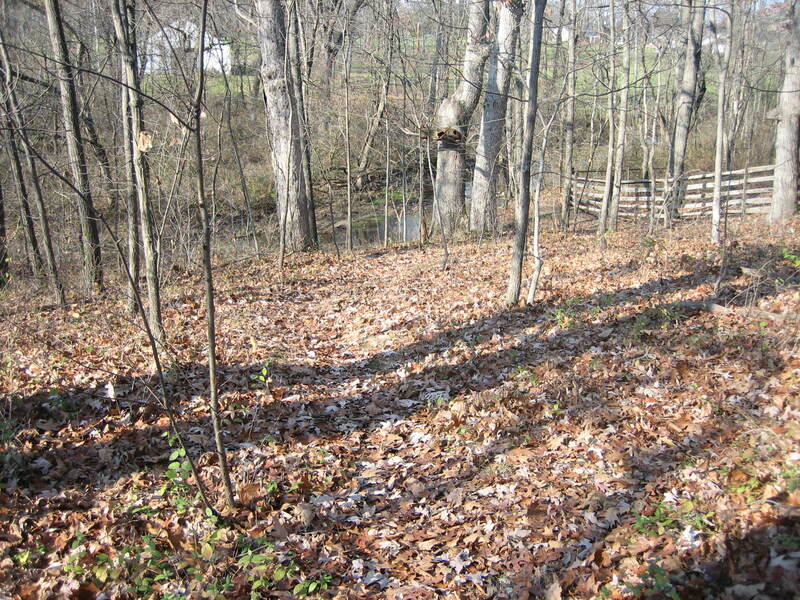 When the 19th Indiana was charging towards northward towards the Quarry area, one of the color bearers of the 19th Indiana, Abe Buckles, became so far in front of the rest of the regiment that Lieutenant-Colonel William Dudley, repeatedly yelled after Buckles, “Come back with that flag!” This view was taken facing north at approximately 9:00 AM on Friday, November 28, 2008. The post and rail fence runs up towards the western arm of McPherson’s Ridge. The metal “mesh” fence runs more or less parallel with Willoughby Run. To get to the Quarry, we chose to climb the post and rail fence. This view was taken facing east at approximately 9:00 AM on Friday, November 28, 2008. 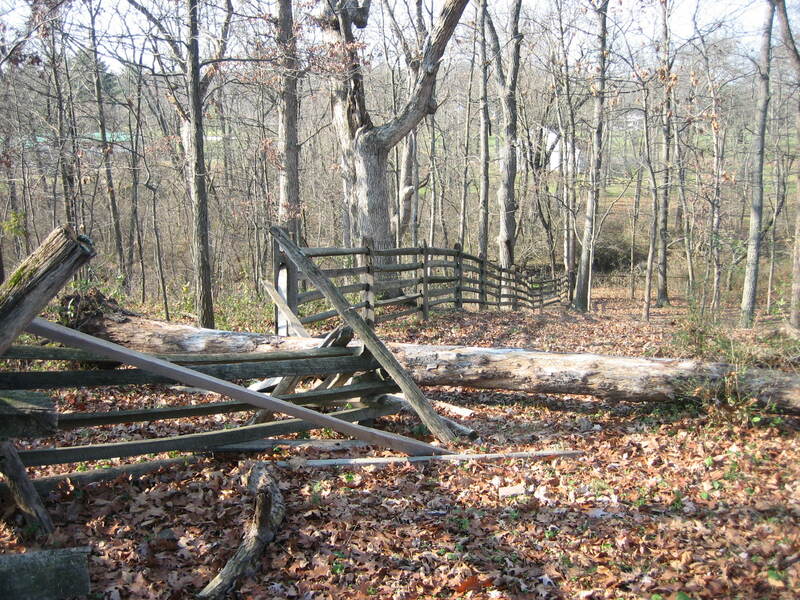 As we discovered later, we could have walked up the slope approximately 40 yards, and entered the Quarry area where the tree crashed through the post and rail fence. This view was taken facing east at approximately 9:00 AM on Friday, November 28, 2008. The Quarry is not as large as it was in 1863. From the fence to the far “wall” it’s approximately 100 feet. From right to left, or north to south, it’s approximately 150 feet. Frank Huff of the 19th Indiana, was charging from right to left (south to north) in front of the regiment, when he was struck by a minie ball and fell into the quarry. He was described as being, “wounded, bruised, and stunned all at once.” This view was taken facing east at approximately 9:00 AM on Friday, November 28, 2008. There is standing water at the bottom of the Quarry. Cumberland Township, did not list any stone cutters on the 1860 census, but the Borough of Gettysburg did. We have decided to show some facts from the 1860 census on Gettysburg Stone Cutters. Number of Gettysburg, Adams County, Pennsylvania Stone Cutters according to the 1860 Federal Census: 7 or 1% of Gettysburg, Adams County, Pennsylvania residents who listed an occupation (684). This tied Stone Cutters for 25th in rank among Gettysburg occupations (97). This view was taken facing northeast at approximately 9:00 AM on Friday, November 28, 2008. Average age of Gettysburg, Adams County, Pennsylvania Stone Cutters (7) according to the 1860 federal census: 28 (Youngest 18, Oldest 57) This view was taken facing west at approximately 9:00 AM on Friday, November 28, 2008. We’re now at the top of the northeastern side of the Quarry. Total economic wealth possessed by Gettysburg, Adams County, Pennsylvania Stone Cutters (7) according to the 1860 federal census: $3975, or .003% of the total economic wealth, $1,502,245, possessed by Gettysburg, Adams County, Pennsylvania residents (2390). 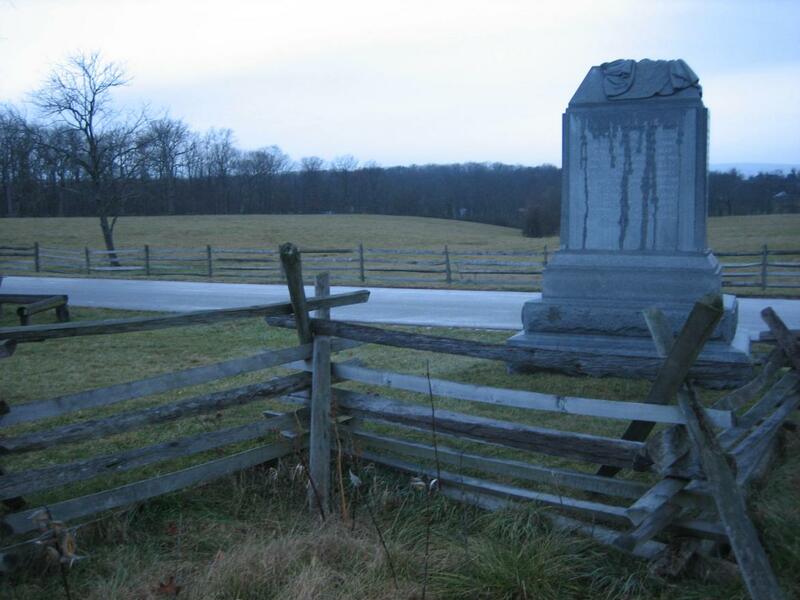 This placed Stone Cutters 41st in rank among Gettysburg occupations (97). This view was taken facing southwest at approximately 9:00 AM on Friday, November 28, 2008. We’re at the southwestern corner of the Quarry. Average economic wealth possessed by Gettysburg, Adams County, Pennsylvania Stone Cutters (7) according to the 1860 federal census: $567.86. 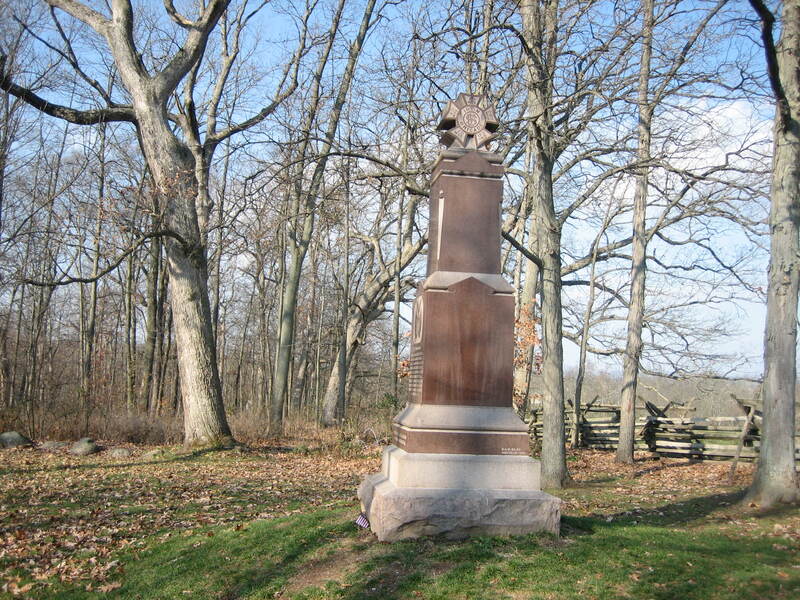 This placed Stone Cutters 50th in rank among Gettysburg occupations (97). Stone Cutters or Master Stone Cutters’s (4) Average economic wealth: $993.75 Journeyman Stone Cutter’s (1) average economic wealth: $0 Stone Cutter’s Apprentice (2) average economic wealth: $0 This view was taken facing northeast at approximately 9:00 AM on Friday, November 28, 2008. We are standing behind the monument to the 150th Pennsylvania Infantry Regiment. 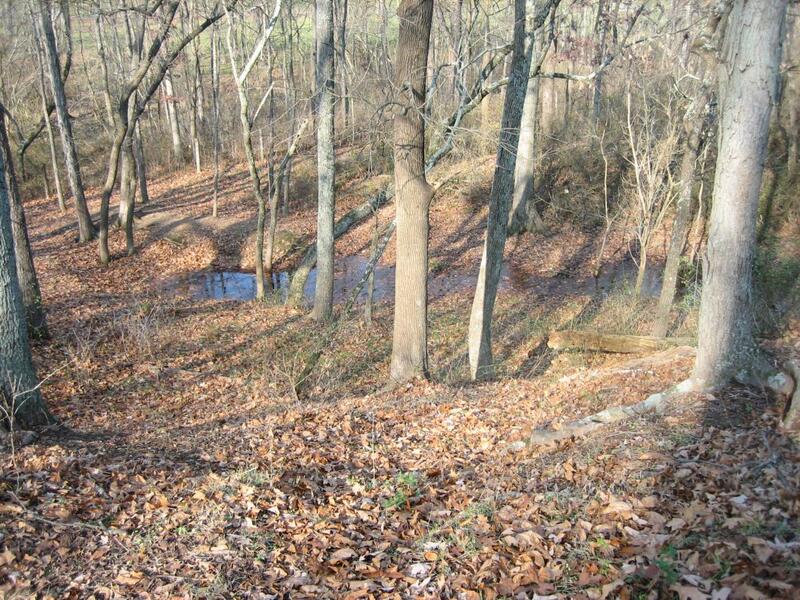 When Brockenbrough’s Virginia Brigade attacked toward this area in the afternnoon of July 1, 1863, the Quarry got in their way. Instead of charging across the open field toward the 150th Pennsylvania, they avoided the Quarry by moving south into McPherson’s Woods, and then charging eastward, mostly towards the 7th Wisconsin. This view was taken facing southwest at approximately 9:00 AM on Friday, November 28, 2008.